Following a severe stroke, seventy-four-year-old actor Mr Stone lies dying in a near-empty hospital ward. His two sons, Tony and Sam, together again after several years must try to reconcile their fractured family over their dying father’s hospital bed before it’s too late. They confront each other, their past and the imminent loss of their father. A funny, moving and witty black comedy by Academy Award Winner and Emmy Nominee Nigel Williams. Genesis 4:9 Then the Lord said to Cain, “Where is Abel your brother?” He said, “I do not know. Am I my brother’s keeper? Visit the newest off-West End venue The Playground Theatre in London W10 to enjoy the latest drama, musical theatre, standup comedians, festivals and performing arts. 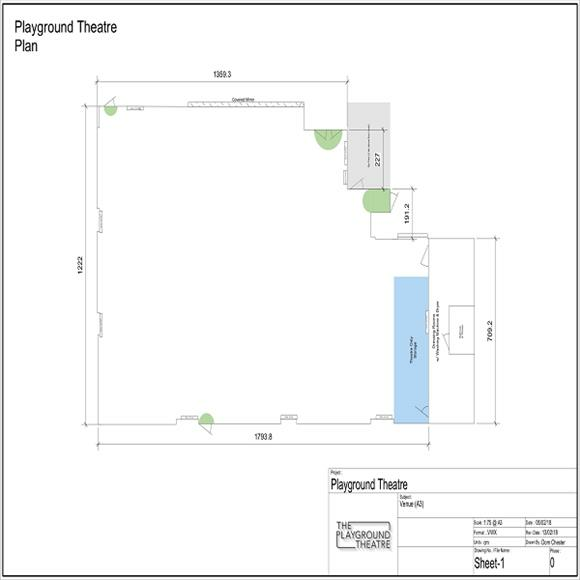 The Playground Theatre, Bar and Cafe is situated between White City Station and Latimer Road Station. To get to the theatre from Latimer Road Station (12m walk) - Once out of the station turn right ahead you will see the Westway flyover-carry on past that and take the second on the left which is Oxford Gardens. Go as far as you can and you'll hit Latimer Rd, turn right and it is halfway down on the left hand side. To get to the theatre from White City Station (15m walk) -Once out of the station turn right. You will see the Westway flyover ahead of you- carry on past that until you reach Northpole Road on your right hand side with the Pavilion pub on the corner. Turn right there and take the second on your right which is Latimer Rd. The theatre is halfway down on the right hand side.